Japan has an interestingly integrated culture where millions would rather be inconvenience than cause distress to the few. It's not wrong, it's just the way it is. So, for example, although Japan has compulsory purchase laws, where individual's land can be bought against their wishes, people would rather not use them and act through consensus. Hence Narita International Airport having one and a half runways and a few strips of farm land in the middle. And speaking of airports, Narita, it has to be said, is still rubbish, in that it is approximately 80km's from central Tokyo with limited connecting domestic flights and trains limited to bus speeds so as not to compete. To an extent, it is easier to take an international flight via Korea than to make a connection through Narita. But things are about to change. In time for the Olympics, Haneda, the alternative airport in downtown Tokyo, is about to see a major expansion in traffic with new flight routes to add multiple new landing slots. And at this point, let's ignore the fact that tourist traffic actually drops during an Olympics as people stay away to avoid the crush. The upshot of the new flights into Haneda, starting in September, will be interesting. Tokyo is a rare global city that, to this point, is blessed with clear skies (except for the occasional News helicopter). Almost all flights landing at Haneda are routed around the outskirts of Tokyo bay and so the noise of jet engines are rarely heard in town. But this will change. With nine (yes nine) new runways planned in the Kanto region over the next decade or so, the skies are going to get busier. And Tokyo is going to get louder. As Leslie Nielsen famously replied in Airplane!, "Surely you can't be serious? 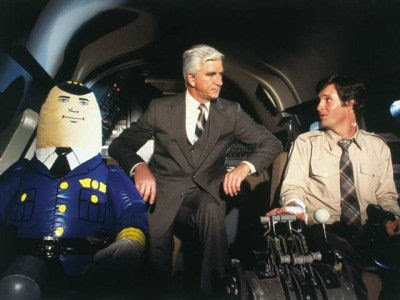 ", "I am serious, and don't call me Shirley".